Bachman Academy is a school for students who are diagnosed with learning differences. We educate boarding and day students in 6th-12th grade who are diagnosed with ADHD, Dyslexia, Aspergers Syndrome and other Non-verbal learning differences. The academy's mission is to empower students to develop the skills and values necessary for success in a global society. At Bachman Academy our curriculum includes a researched based, multi-sensory approach that is highly individualized and provides middle and high school students the opportunities to learn in a nurturing and safe environment. Ninety per cent of our students transition to two and four year colleges. In addition, we incorporate assistive technology along with a success skills curriculum, which covers personal finance, social etiquette, completing job applications, interview skills, personal appearance, self-advocacy, and preparing for independent living. Our career-education program is unique among the majority of boarding specialty schools. The programs are built on outcome-based learning. Career-education elective track includes, Equine Studies, Mechanics, Woodworking and Horticulture/Agriculture. Being fully aware of our students learning needs, our teachers' styles and methods are geared to teach the way each student learns best. The Academy boasts a 5:1 student to faculty ratio, and a 1:1 student to staff ratio. 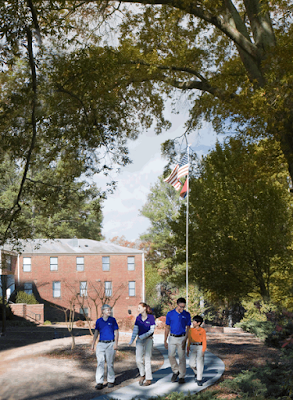 The 188-acre campus is the ideal backdrop for an environmentally- friendly focused school for average to above average students who struggle to learn in a traditional educational environment. To learn more about Bachman Academy please visit our website at BachmanAcademy.org or contact our Admissions Department at 423-479-4523 or email admissions@bachmanacademy.org. Wow what a great school, and an amazing track record. 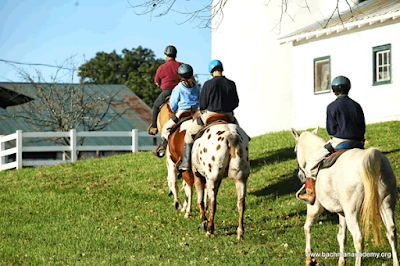 Love the horseback riding, too! !